Great night last night, with 40+ people searching for SquirrelGliders on a stunning spring evening at Table Top, north of Albury. 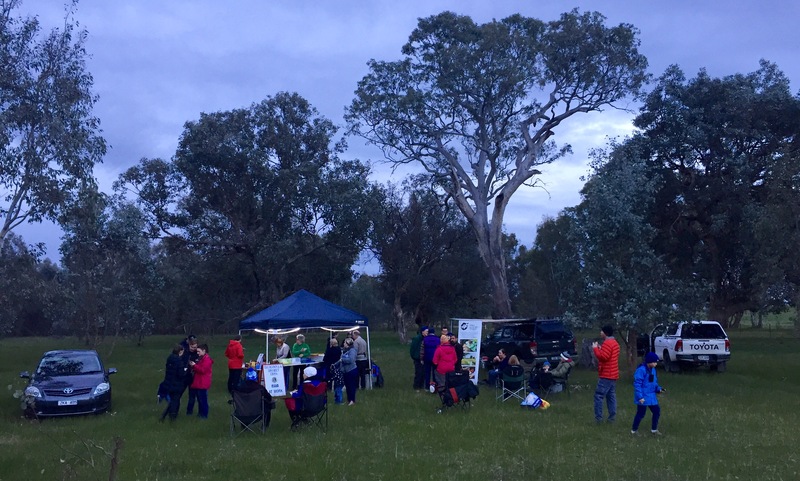 Big thanks to everyone who turned up and to ecologists Damian Michael and Dylan McWhinney for leading the surveys – we saw three Squirrel Gliders, five brushtailed possums, two boobook owls, a few dozen micro bats and an eastern grey kangaroo. Thanks also to Thurgoona and District Lions Club again for the lovely BBQ and Murray Local Land Services for allowing the event on Bells TSR. The event was proudly part of the Albury Wodonga Sustainable Living Festival. 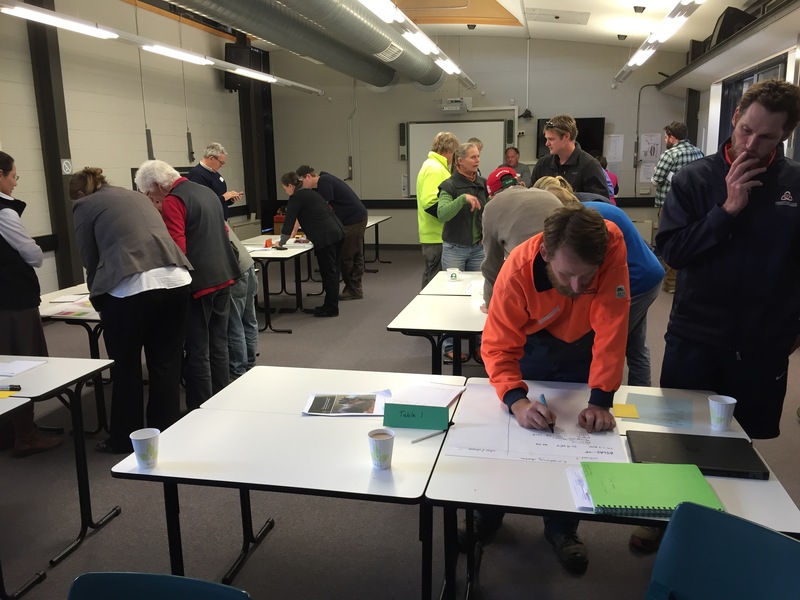 More than 20 local organisations, researchers, landowners, and community groups converged on the National Environment Centre to contribute towards a long term monitoring plan for Thurgoona’s Squirrel Glider‬ population. 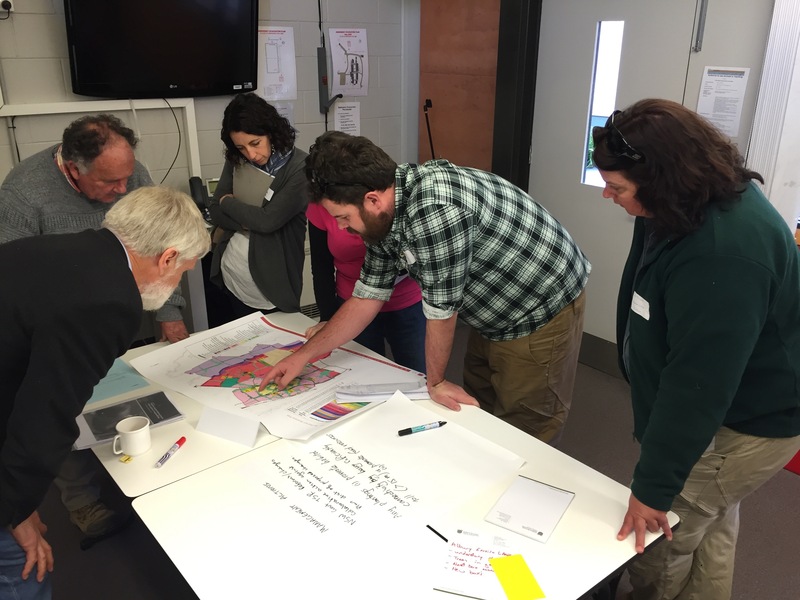 The Monitoring Plan, currently in draft, is being developed by the Australian Research Centre for Urban Ecology (ARCUE) and is being funded by ‪Albury Conservation Company‬ and ‪the Albury Environmental Lands project, being managed by the NSW Department of Industry – Lands‬. Thurgoona / Wirlinga contains one of a small number of remaining strongholds of the species in NSW. The area is also the future urban growth corridor of Albury, with the human population expected to increase 500% over the next 2-3 decades. Will the local Squirrel Glider population be viable in 100 years from now? The Monitoring Plan aims to establish a whole-of-landscape approach to monitoring the local Squirrel Glider population, which helps to answer critical management questions and identify issues that need to be addressed in order for it to be conserved. To view the draft plan click here. 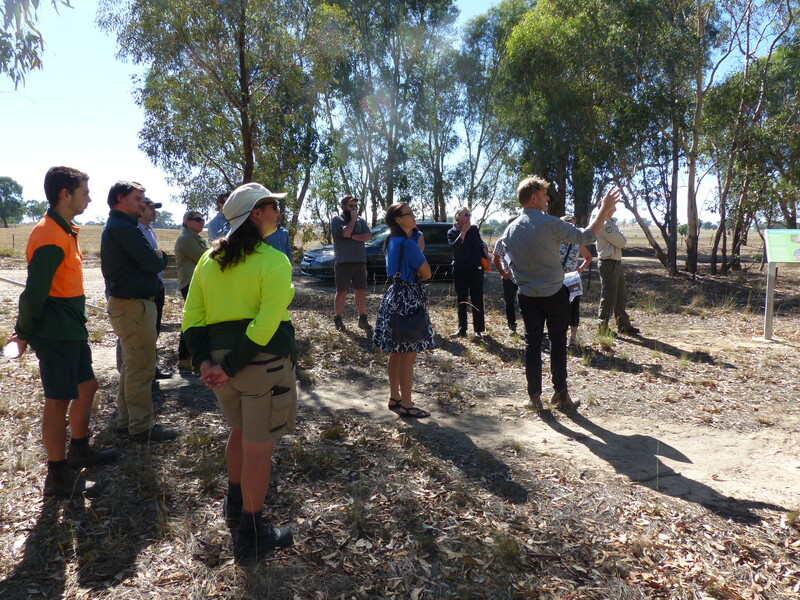 The Albury Conservation Company convened a discussion between key stakeholders about the threatened Sloanes Froglet in the Thurgoona area. 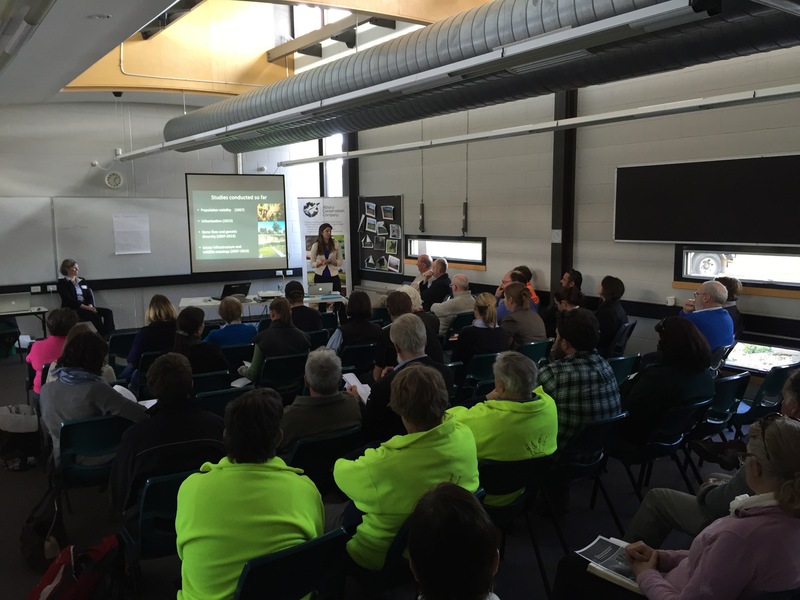 The meeting took place at the National Environment Centre, Thurgoona, on Thursday 25 July 2013. 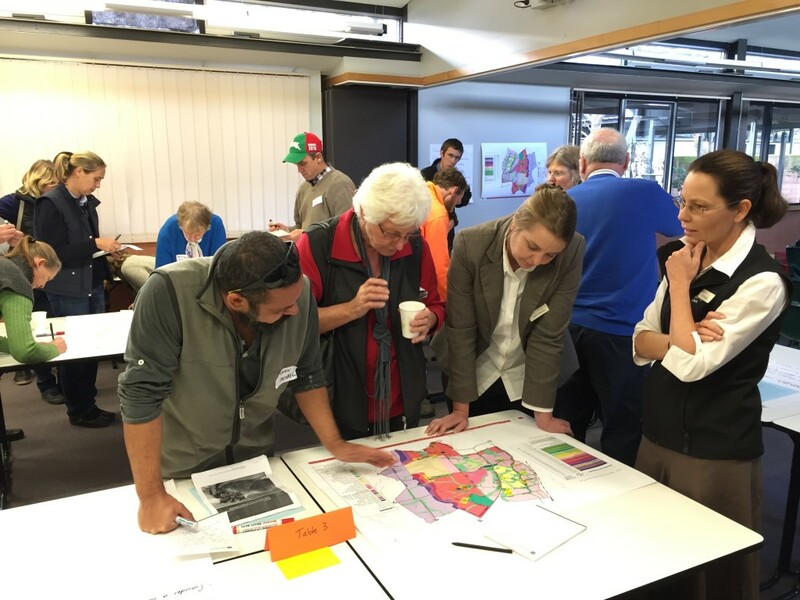 Approximately 30 people attended with representatives for Albury City Council, NSW Trade and Investment, NSW Office of Environment & Heritatge, Woolshed Thurgoona Landcare Group, Thurgoona Progress Association, National Environment Centre, Albury Wodonga Equestrian Centre. 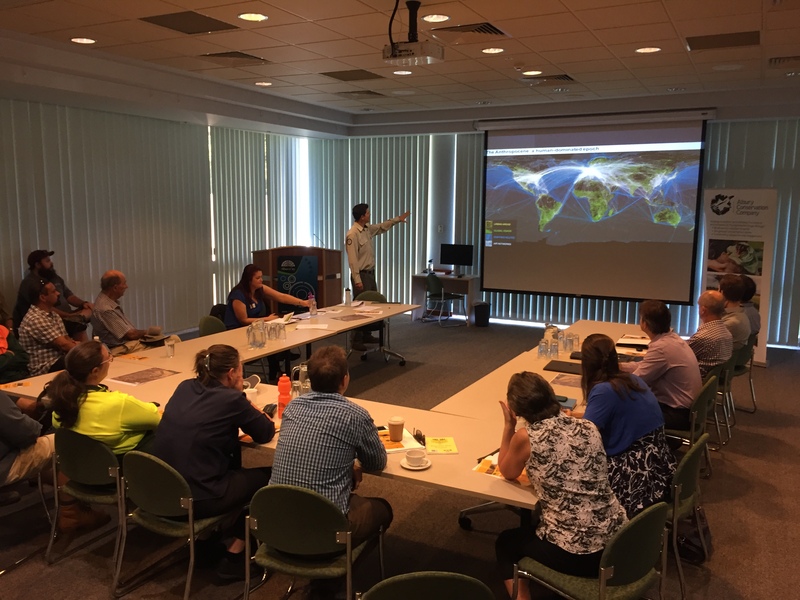 The latest information about Sloane’s Froglet distribution and requirements was be presented to the group by David Hunter and Matt Cameron, from the Office of Environment and Heritage, and Alexandra Knight, a Doctoral candidate from Charles Sturt University. Sloane’s Froglet, Crinia sloanei, is a small frog found in Victoria and NSW. it is listed as Vulnerable on the NSW Threatened Species Conservation Act in 2008. To date there has been little information about the distribution of Sloane’s Froglet, and even less about its habitat and other requirements. Because of the presence of Sloane’s Froglet populations in the Thurgoona area, a distribution and habitat study has been undertaken by Alexandra Knight, with the findings of the report shared at the meeting. Click here to read Alexandra’s report. 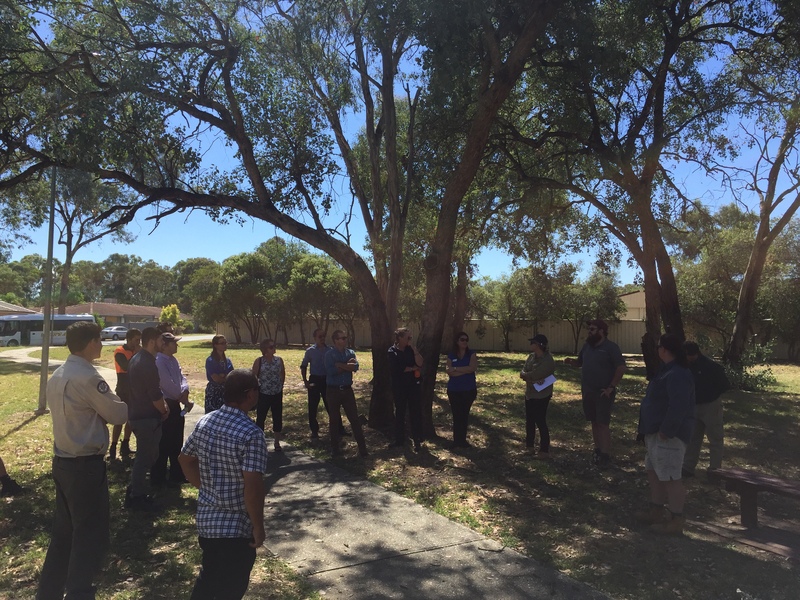 Albury Conservation Company hosted this information session to facilitate the sharing of the findings from this study in the hope that land management activities conducive to conserving the species in the Thurgoona area can be incorporated into local land management activities. 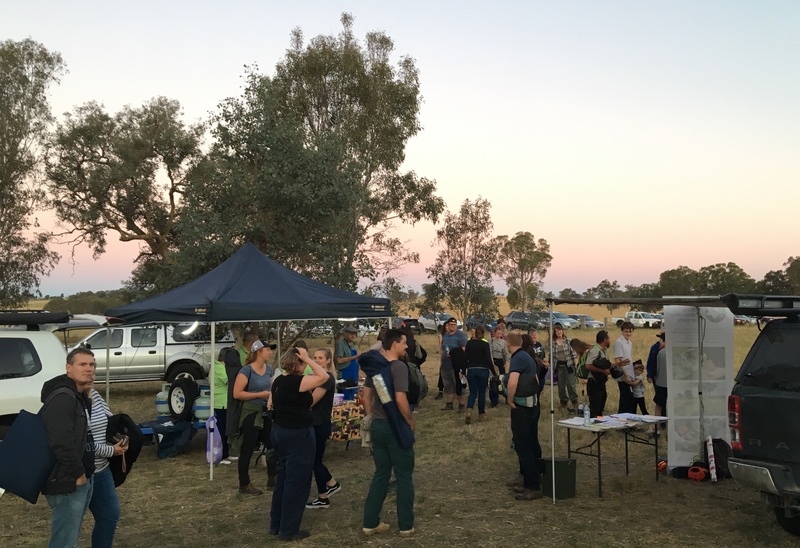 The Slopes to Summit (S2S) partnership (which includes Albury Conservation Company) conducted it’s second Bioblitz in 18 months, this time in Woomargama, NSW. Woomargama is a small town with big biodiversity assets, containing a major national park and large tracts of endangered Box Gum Woodland scattered across farms in the area. The event was held over 3 days and attracted around 280 participants including 7 schools from primary to tertiary on the Friday. To see photos from the event click here. The finalists and winning entries in the S2S Bioflix 2013 amateur short film competition about biodiversity were announced to a packed audience at a special premiere screening at the Regent Cinemas on Monday 24th June in Albury. The winning films can be viewed by clicking here. The competition was an initiative of the Slopes to Summit (S2S) partnership of which the Albury Conservation Company is a proud partner. For more information please contact Sam Niedra on 0448 806 256 or email [email protected]. 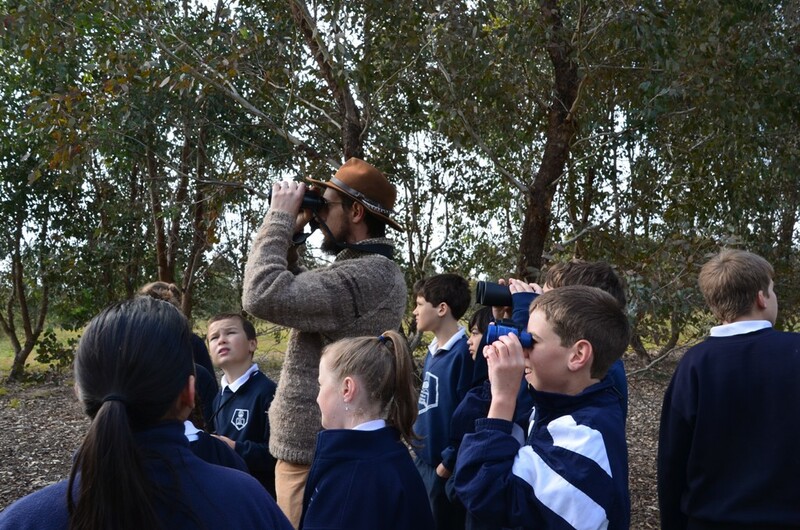 The inaugural ‘Thurgoona Bioblitz’ was held in May 2012 and around 300 school kids and other local residents attended. The event was organised by the Slopes2Summit (S2S) partnership and the Woolshed Thurgoona Landcare Group, and involved 36 wildlife surveys led by ecologists from Australian National University and , Charles Sturt University, Nature Conservation Trust, Murray Catchment Management Authority, Latrobe University, National Environment Centre, and GHD. The surveys targeted birds, reptiles, amphibians and mammals. Over 100 fauna species were seen over the two days, including Brown Falcon, Sloanes Froglet, and Squirrel Gliders. The data has been uploaded into the Atlas of Living Australia, via the ‘S2S Thurgoona Pilot‘ site. The project was funded by the Federal Government’s Caring for Our Country program, NSW Environmental Trust, CSU Green, and Albury Conservation Company. 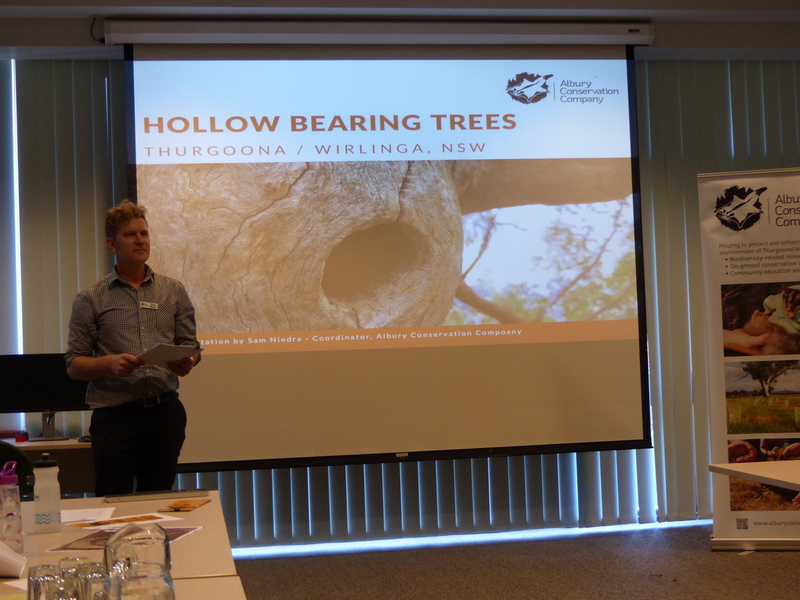 The Albury Conservation Company (ACC) held a workshop at the National Environment Centre to present new research into the population viability of the threatened Squirrel Glider in Thurgoona and Albury Ranges. The ACC commissioned study was undertaken over two years by highly acclaimed expert, Dr Rodney van der Ree, the Deputy Director of the Australian Research Centre for Urban Ecology (a division of the Royal Botanic Gardens Melbourne), and Mr Chris Stewart, PhD student at The University of Melbourne. The Squirrel Glider is a small arboreal mammal that is threatened with extinction in NSW and Victoria and the Riverina district is an important stronghold for the species The Thurgoona and Albury Ranges areas to the north of Albury are currently being developed for a range of residential, commercial and industrial land-uses. A conservation network has been proposed, and this report evaluates the likely success of the conservation network by evaluating the population viability of Squirrel Gliders. The findings of the research indicate that the future for Squirrel Gliders in the area is promising, provided enough woodland is saved and Gliders are able to move freely across the area. Reducing threats to survival, such as predation by cats and collision with vehicles are also likely to be critical to the long-term survival of the species. “The development and management of the Thurgoona and Albury Ranges is a long-term conservation experiment” Dr van der Ree said. “The early tree planting conducted by the Albury Wodonga Development Corporation is an excellent beginning to save the Squirrel Glider. The future for the species depends on how well we can maintain the amount and quality of woodland across the region”. Following the presentation of the research findings a workshop will be held to allow agencies to discuss the key findings of the report and guide future research, on ground works and community education. According to the Chair of Albury Conservation Company David Sexton “This is an opportunity to achieve coordination between organisations and individuals who have an interest in the long term future of this threatened species”.